Wedding Photography at Rookery Hall Hotel & Spa, Cheshire. Built in 1816 the charming unique Georgian Country Manor, known as Rookery Hall Hotel & Spa, is set within 38 acres of amazing countryside in Nantwich, Cheshire. Featuring a beautiful gazebo for stunning outside wedding ceremonies and floor to ceiling high windows in the stylish wedding breakfast venue that gives breathtaking views across the grounds and spa facilities to relax and prepare for your wedding day. 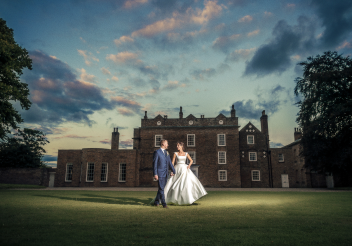 Rookery Hall hosts only one wedding per day, meaning you and your guests, are the main focus from your grand entrance to your last dance. With excellent food and fabulous staff, your day is well looked after and will be talked about for years to come.